After our variety-filled trip to Daikoku PA, our gracious hosts decided we should see another area where Tokyo locals gather as well. The past couple years have seen some coverage of this ‘Tatsumi PA’ on the internet, yet I always question why this tiny parking area gets as much raves as the much more prominent Daikoku PA. Upon driving in and setting foot on the PA itself, it slowly started to make sense. You see, Tatsumi PA is right beside a long stretch coming out of the Wangan Bayshore line and is situated on the connecting new belt line towards C1. That said, it is positioned perfectly for guys who regularly run the C1 Loop, as they can just pull in after one or two rounds and give their cars as well as themselves a break! Of course, variety is still pretty much in play here in Tatsumi as much as it is on Daikoku. Thing is, while Daikoku plays host to all the wild trends Japan has to offer, most of the cars we’ll see here are either purpose built to be driven or have some semblance of serious pedigree and prestige. 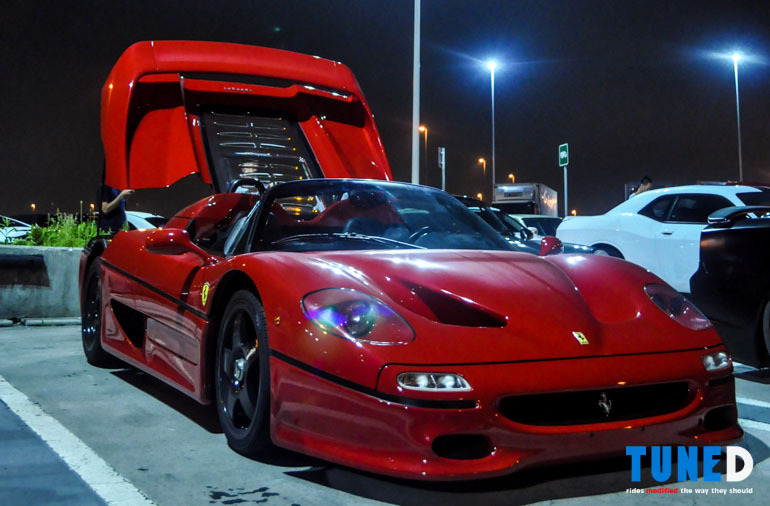 Heck, just upon pulling up to the lot we were instantly drawn to this Ferrari F50 with its cowl up! Cars of various drivetrains, origins, and engine orientations would just pull up for a quick breather then suddenly disappear for another round of C1. Some would even skip the PA to take the main stretch and the subsequent left-hand sweeper on full blast for one loop of the New Belt Line. It’s as if it’s normal to hear a pack of cars blasting through then downshifting a couple gears into the corner! 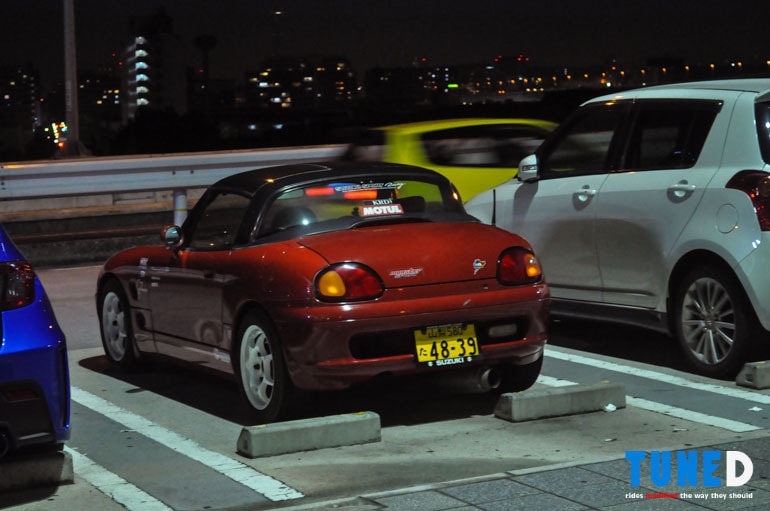 From unicorn Ferraris to munchkin Keis like this Suzuki Cappuccino, everything is well represented at Tatsumi. 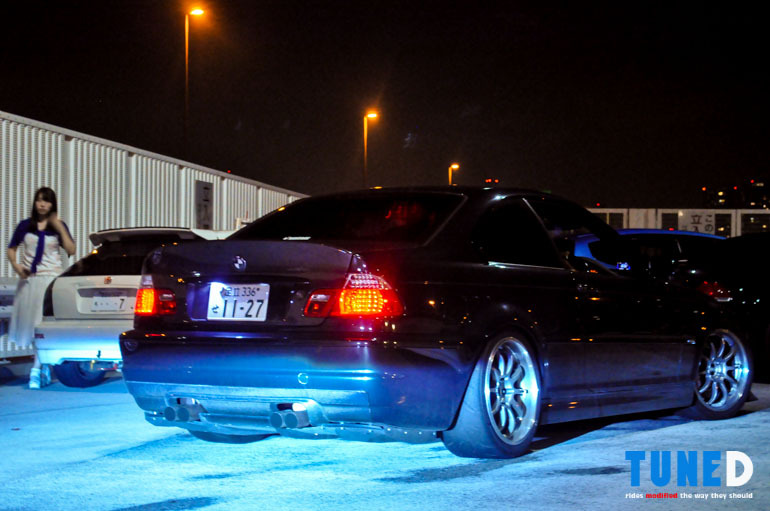 The only thing that really binds these cars are the fact that they are oriented towards being driven out on Tokyo’s highways. 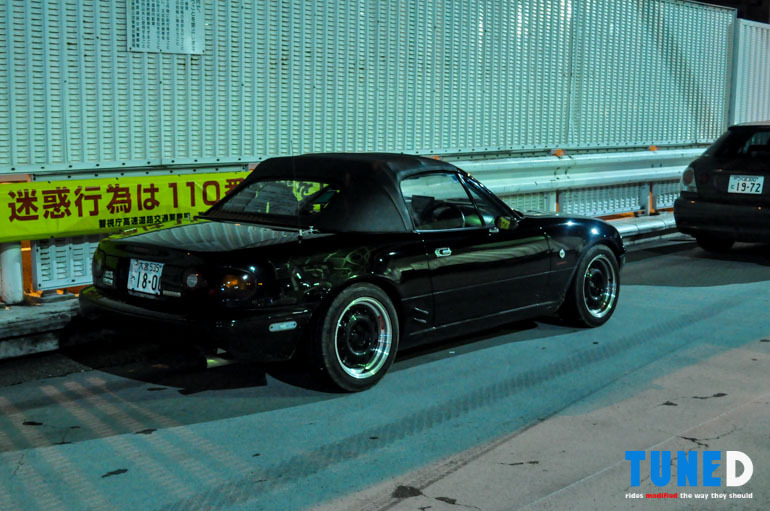 Heck, some cars that pull up would feel right at home on a circuit like Tsukuba as well! 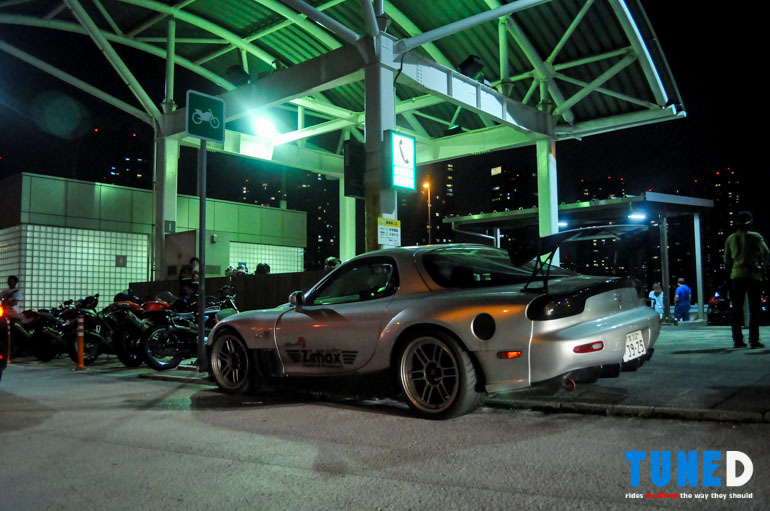 Perhaps what I would consider my favorite RX-7 for the night, this Zimax FD3S sports a healthy mix of body panels from Fujita Engineering and RE Amemiya to make the ensemble many would associate the RX-7 with, full circuit-spec with plenty of flair! Summer in Japan is roughly about as hot as our climate here in the Philippines, minus the humidity. 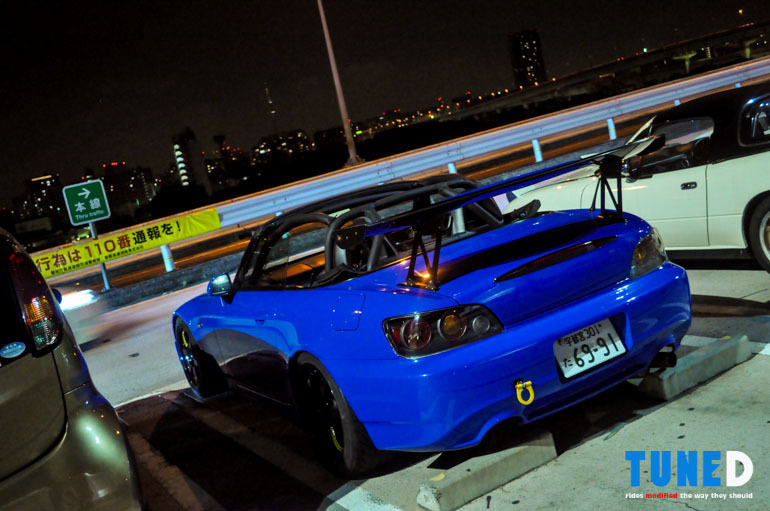 While most would probably opt for air conditioning, this S2000’s owner basks in the fairly warm weather. Wouldn’t hurt that much to get some fresh air on evening runs considering how fast they’d be driving I suppose. 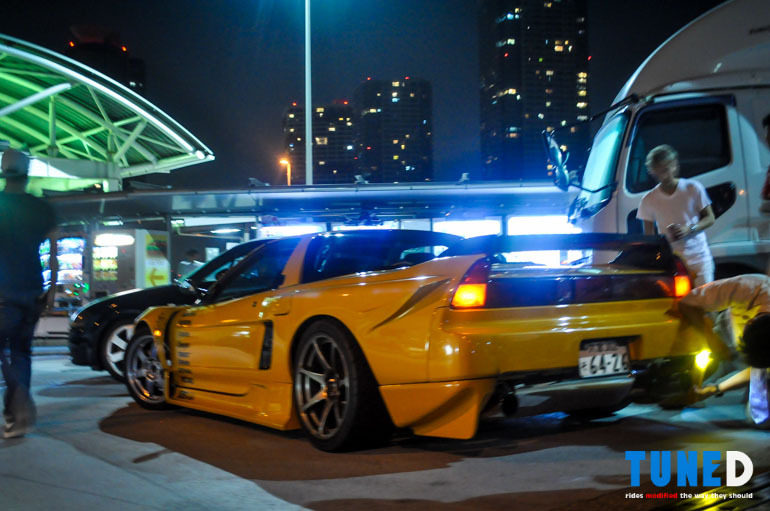 A little while after going around this Yellow NSX driven by a gentleman in his 40’s pulled up with a loose rear panel! 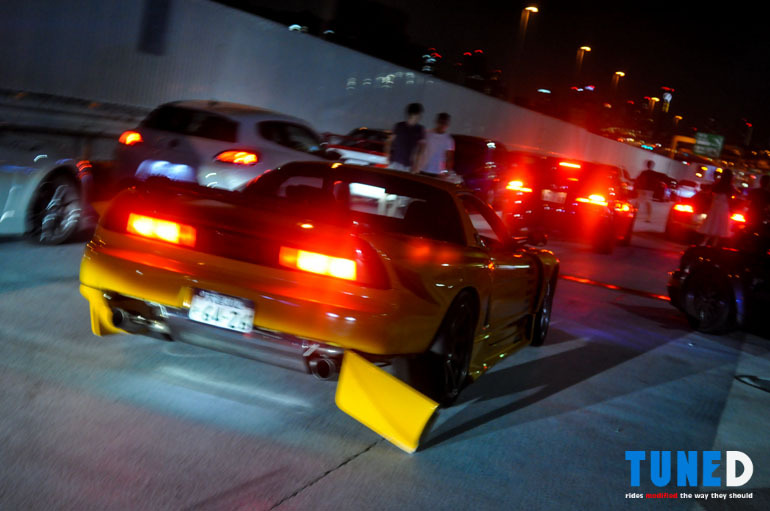 Talk about going all out, these are the small instances that make japanese car culture so cool. 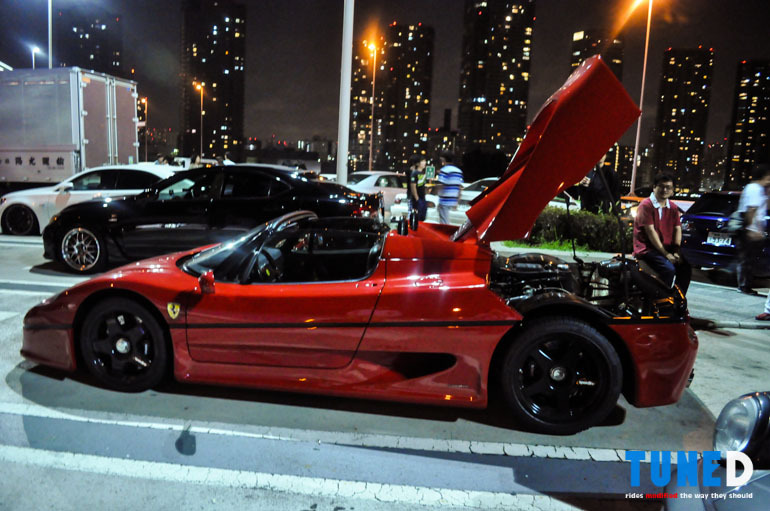 Despite having a rather rare car, these guys still go all out just to enjoy their cars out on a drive! Nothing a little duct tape can’t fix though! Good as new! Suddenly a thundrous sound came from the far end of the PA, seeing as that sound could only come out of something with 12 cylinders I had to have a peek. It’s really something to see a car we’ve often found on posters in our bedrooms growing up in the sheet metal. 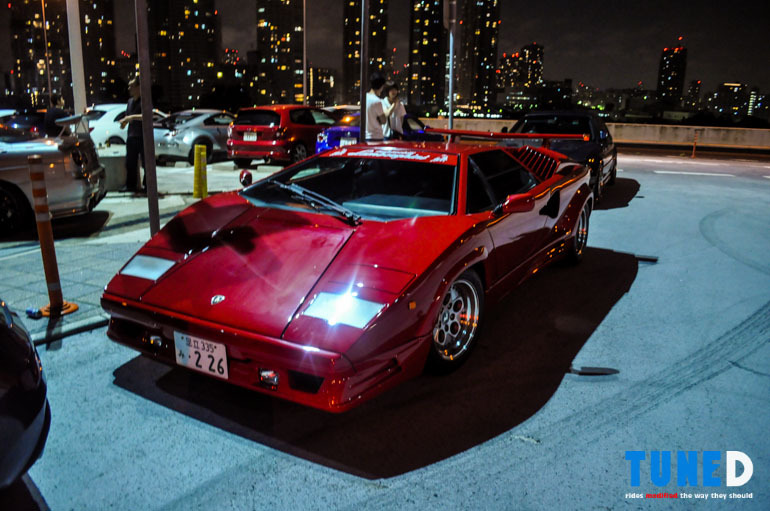 After hearing so many stories about how low and cumbersome the Lamborghini Countach is, seeing how its owner maneuvers it into the parking space just further confirms all those stories! 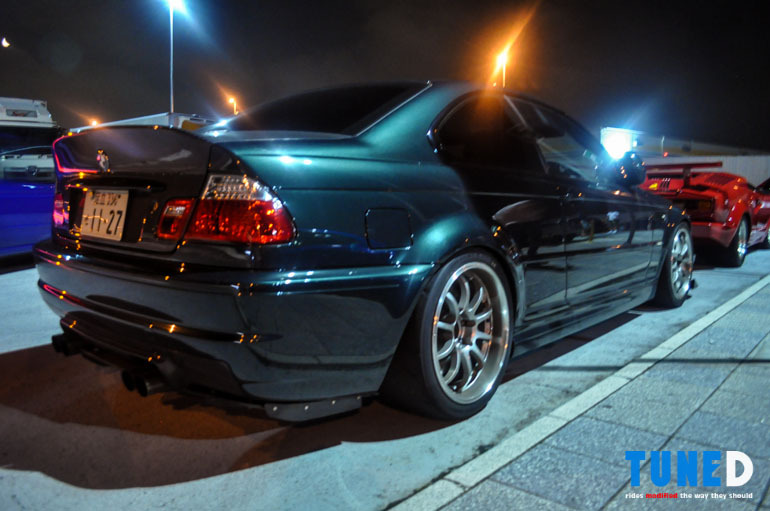 Right behind the Countach was this Oxford Green BMW E46 M3. Judging from the semi-slicks on its Rays Engineering Volk CE28s, this car certainly sees more than the usual highway sprint! Soon we had to pack up and our hosts decided to bring us back to our original meeting area. Given the roads were quite open we did a quick photo-op of their cars, certainly something that we wouldn’t want to miss out on! The 4-door ER34 on the left belongs to Junya Nakata, if you didn’t know your Skylines you’d think that the GT-R came out with four doors! Some well-executed custom fender work has been done to all four corners to make the GTS-T pumped like that of a GT-R’s. 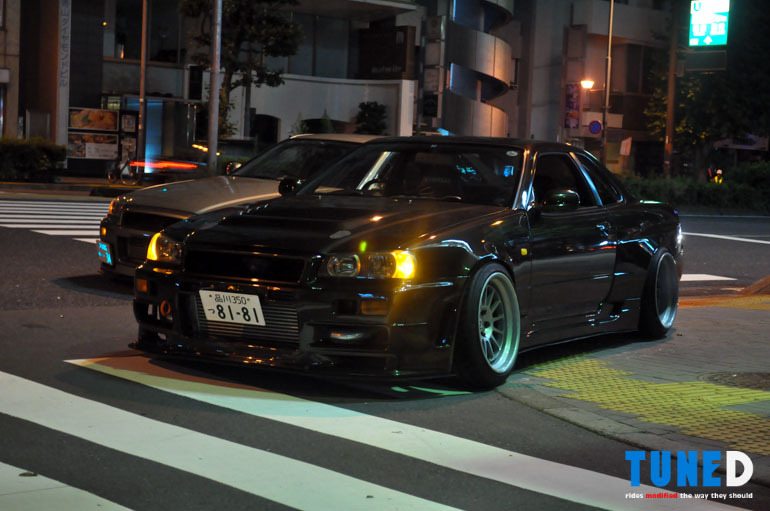 All coated in a nice shade of Millenium Jade Pearl (A color exclusive to R34 V-Spec II Nürs), Junya’s 4-door Skyline certainly plays the part of a GT-R! The 2-door ER34 of Takashi Mori served as our steed for the evening. 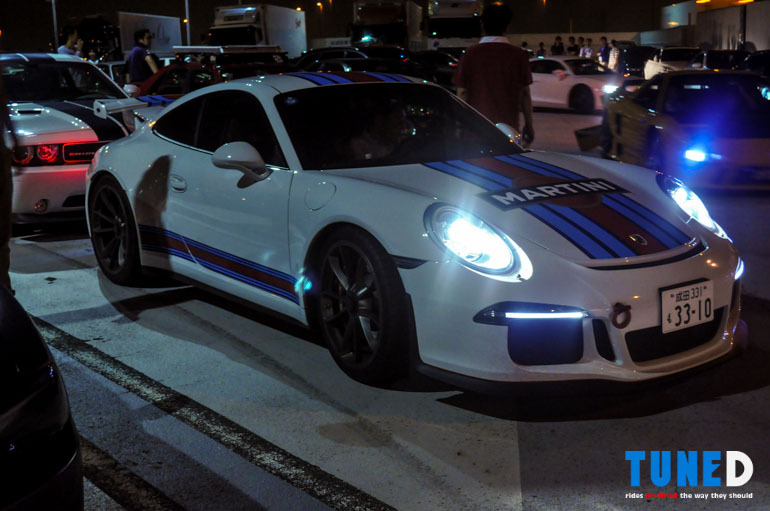 With its Panamera Brown paint, Eurou and Cross Factory wide fenders, and x10 x11.5 HRE Classics, this car has been doing rounds on the net as of late. 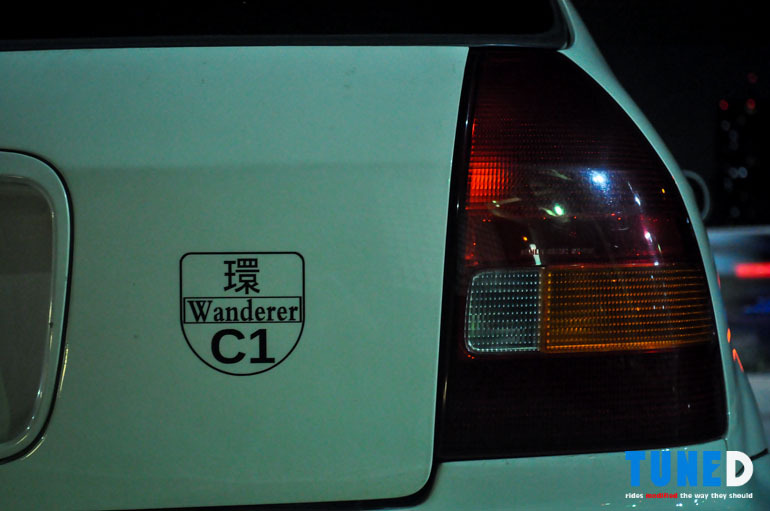 I’ve actually been following this car for awhile before we met Takashi-san in Manila, it was by chance that he was at the Stance Pilipinas Meet last may and offered to give us a tour once we’d visit Tokyo. True to his word, that night was a priceless experience for us and something we’ll never forget! Stay tuned for more coverage from our trip!